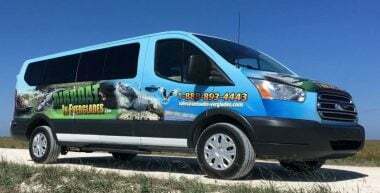 There are alot of Airboat tour companies out there but only one Airboat In Everglades. Our crew is dedicated to the best luxury airboat experience you can ask for during your vacation. The 1-hour semi private airboat adventure is our most economic tour. It covers 8 miles of the Florida Everglades. The most common animals seen on any adventure are alligators birds and turtles in their natural habitat (NO CAGES OR FISH TANKS). 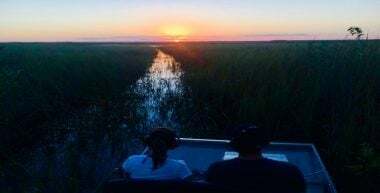 This adventure is shared with other guests but on a smaller airboat. No more than 11 passengers on the airboat for this adventure. Children under 6 years old are free. This tour is only available at 8:00am, 10:00am, 12:00pm and 2:00pm. 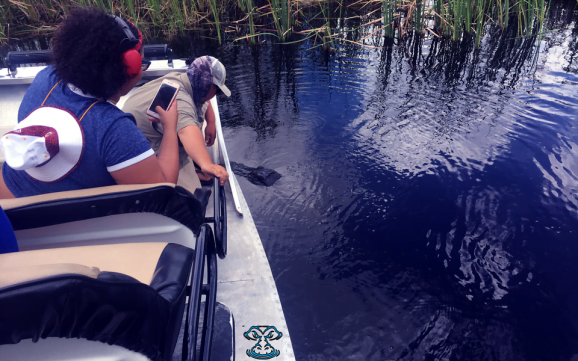 The 1 hour private Airboat Adventure covers approximately 8 miles of the Florida Everglades. This is a great way to get a taste of the Glades. The most common animals seen on any adventure are Alligators, Birds, Turtles, and just some of the beauty the Everglades has to offer. 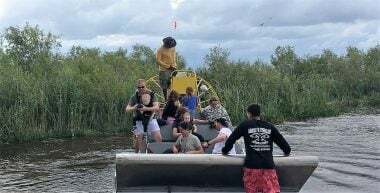 All private tours are on small and open airboats. All airboats come stocked with ice and water so you may bring whatever you wish to eat or drink onboard. Walk ups welcome but are subject to availability. Reservations are recommended. Guests best recommendation. The 1.5 hr private Airboat Adventure covers approximately 13 miles of the Florida Everglades. 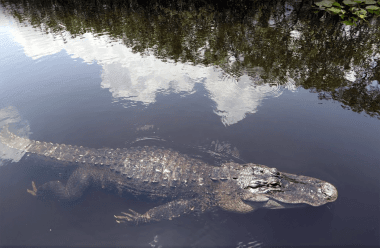 This is a great adventure if you want to get a good taste of the Florida Everglades. The extra half an hour allows us to cover an additional 5 miles over the 1 hour private. The deeper you go the better allows you to see a greater variety of species. Please note that there are no animals in cages or fish tanks for any adventure we offer. As unique as the Everglades are this is truly a unique experience to be enjoyed by any nature lover. The 2 hr private Airboat Adventure covers approximately 17 miles of the Florida Everglades. This is the way to go if you want to see the Florida Everglades. It is just enough time to fall in love with the beautiful sounds, take some great pictures and explore an island a bit. Animals are all throughout the Everglades, The 2-hour adventure has the advantage of covering more ground. A unique and fantastic experience on all levels, make this adventure the best just read the reviews and see what visitors have to say. Reservations are recommended at least 1 day in advance. 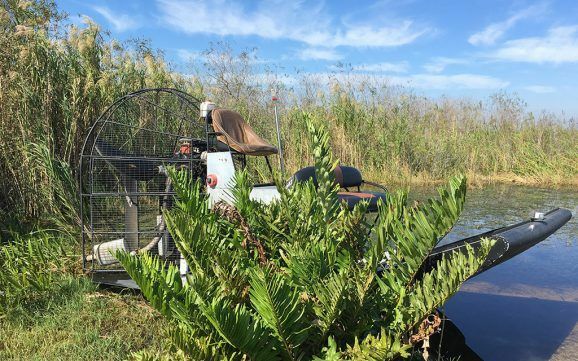 Private airboat tours can be scheduled for anytime of the day you wish depending on availability. Transportation is door to door service with no multiple stops. The average drive time from Miami’s South Beach to Airboat In Everglades is approximately 35 minutes to 1 hour depending on traffic. Your on vacation, we’ll pick you up. 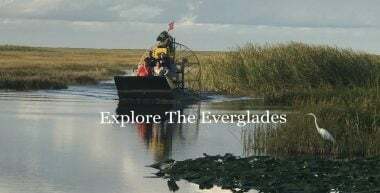 What people says about Arboat in Everglades? Great fun for the whole family!! We were whisked across the grassy everglades and brought deep into places that we would never have been able to access. We were concerned that we wouldn't see alligators but we saw many of them. We had an awesome time and the kids tell us this was the highlight of their trip!! Airboat in Everglades, which is limited to 10-11 people. You meet at the Pilot Travel Center. Step inside and there is a chair and tiny table to the left by the knives display. This is where you check in and pay. Then you follow the employee in your car about 1/2 mile due west and park in a little parking area near where the airboats are waiting. 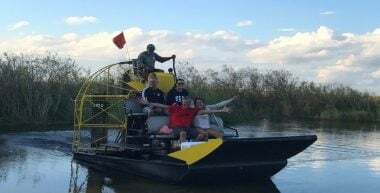 This airboat trip was amazing. I will never forget this experience. Our tour guide Bill showed us very special things and could tell us a lot about the birds, gators and plants. He is so enthusiastic and friendly, what makes the boat trip even more fun. I would suggest this trip to everyone!!! We just want to give a great thank you to Willy for his excellent tour guide last Saturday He was very informative and a very nice guy. He made the ride feel safe and exiting. Thank you all we had a blast.